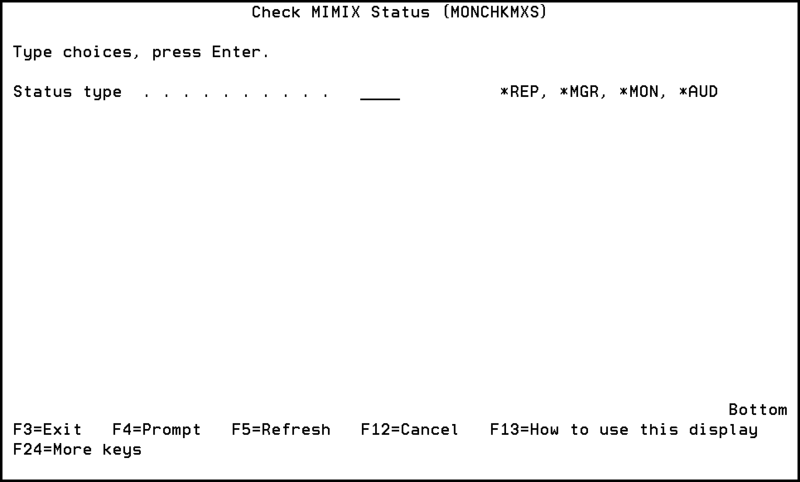 MIMIX replicates a production environment to a backup server in real time with zero data loss. This hot standby server can then be used for disaster recovery or take over when there's a need to perform maintenance on the primary server. Since the direction of replication is defined at a data group level, the roles of servers as primary or secondary servers within a cluster can be unique for specific applications. For example, one application (data group) can replicate from system A to system B, while another application replicates from system B to system A. When creating the definitions, they'll either be User Supplied Text or User Supplied Integer (use this document to determine which data type should be used for the corresponding monitor). It's advisable to incorporate the type of monitor (GRPSTS, for example) together with the data group or system in the short description for each data type. This can be used in the thresholds later and can clarify exceeded thresholds to make problem resolution easier. In order for the command to run, you need to create a job description that contains the Robot Monitor installed library (usually MSM) together with the MIMIX installed library (usually MIMIX). The command must be qualified, and the command type must be set as CL. When you're ready, click the prompt button to display the prompt window. You may be required to enter your IBM i Signon Information. A default global threshold list will need to be created as well, with entries added showing all possible values that can be returned for the parameters supplied. These lists are supplied in the following sections (starting with "MIMIX Monitoring Command Definitions"). If you want to create definitions with thresholds for MIMIX monitoring, you have a couple options. Use these steps if you only need to create a few definitions with thresholds. In the Robot Monitor GUI, select Monitor something new from the Item Selection bar on the Monitor view. Select either User Supplied Text or User Supplied Integer from the User Supplied filter. 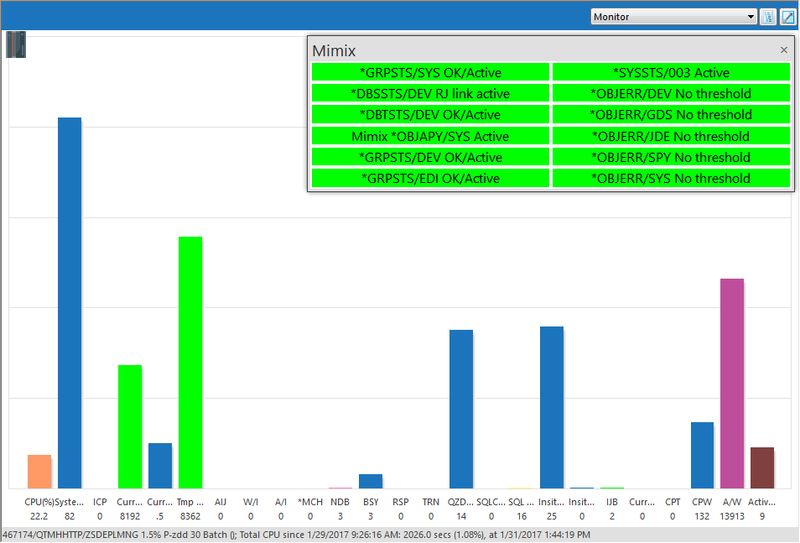 Use this document to determine which data type should be used for the corresponding monitor. On the Global Threshold tab, click New Global to create a threshold. Highlight the threshold and click Add Value to configure the threshold details. After these steps, add the command definitions and any other details to the data definition before clicking OK.
Use these steps if you need to create numerous definitions with thresholds. Download the Robot Monitor Add-Ons zip file (RMON_ADDONS.zip) from the Robot Monitor download page on our website. Extract the add-on files to your PC. Highlight a threshold, then click Import Values From File and select a corresponding threshold file from your PC. Click Open to import the threshold value.